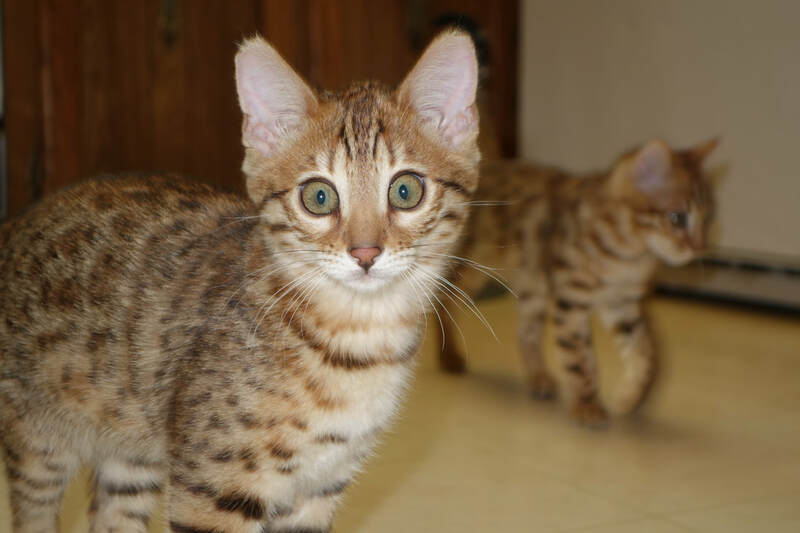 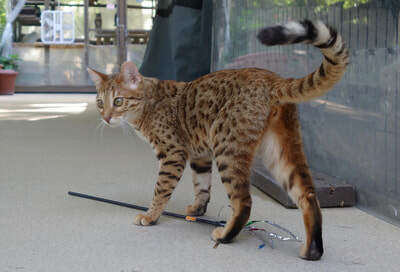 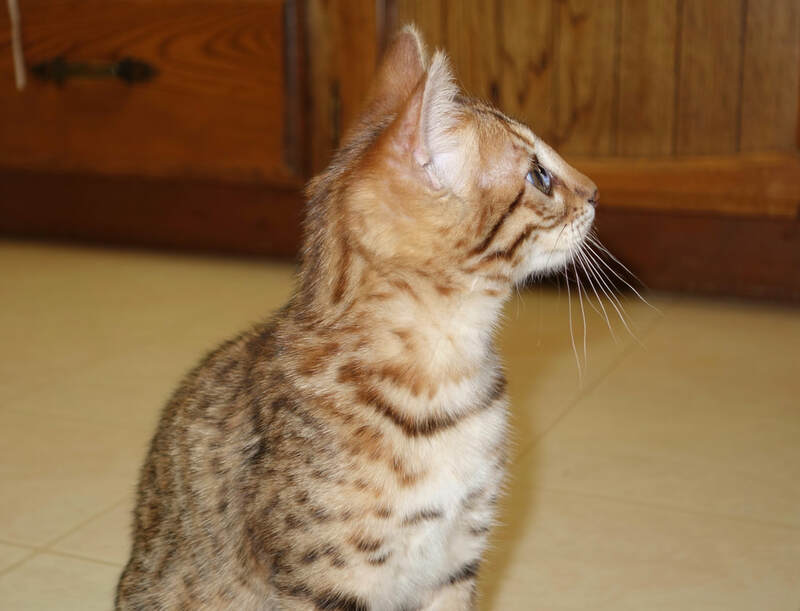 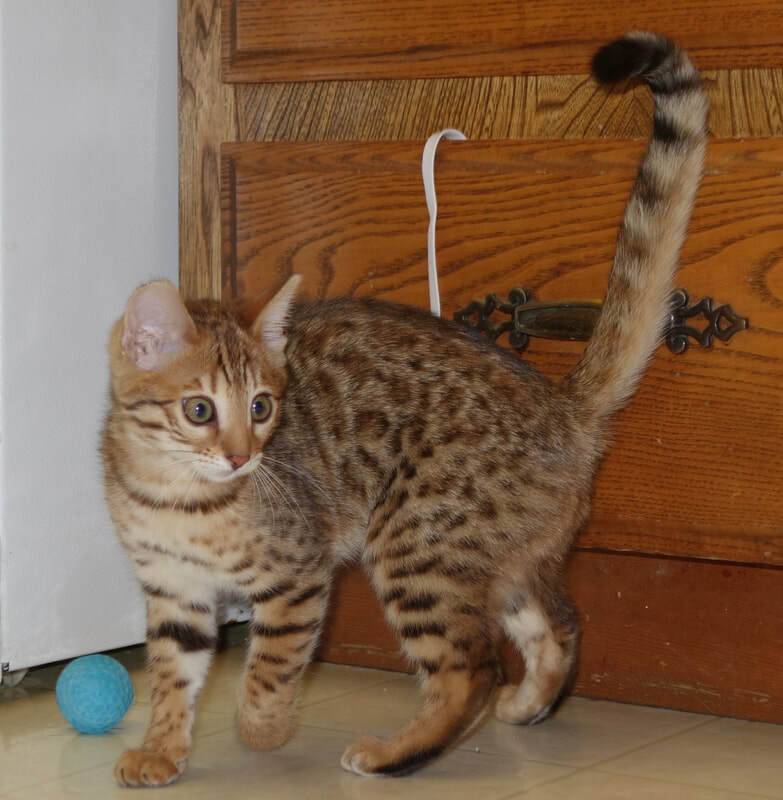 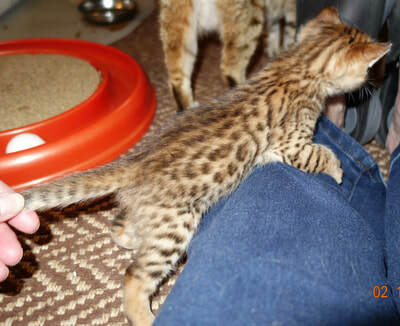 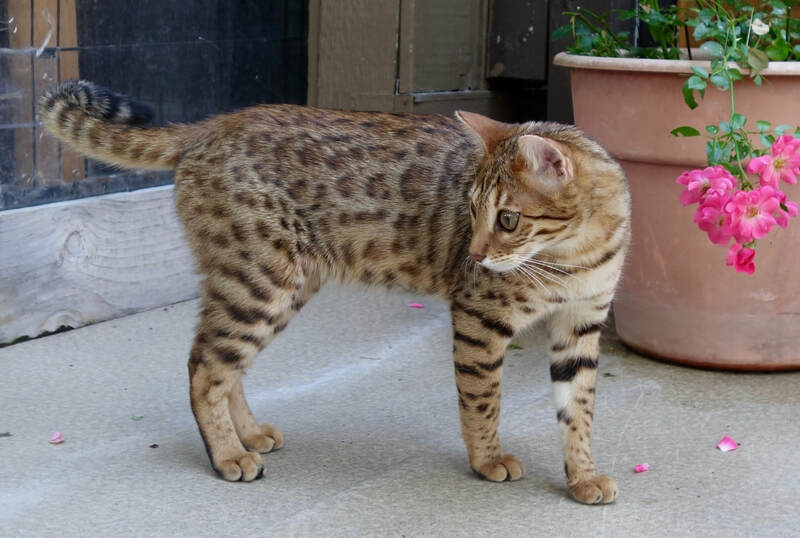 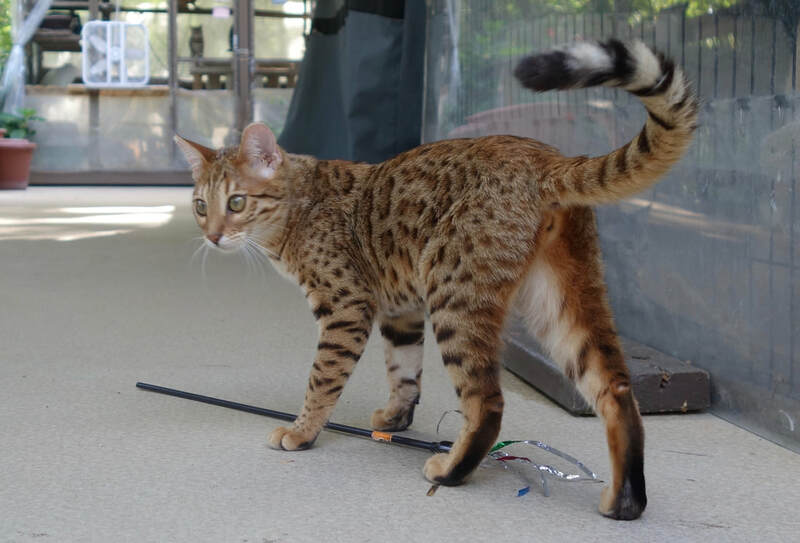 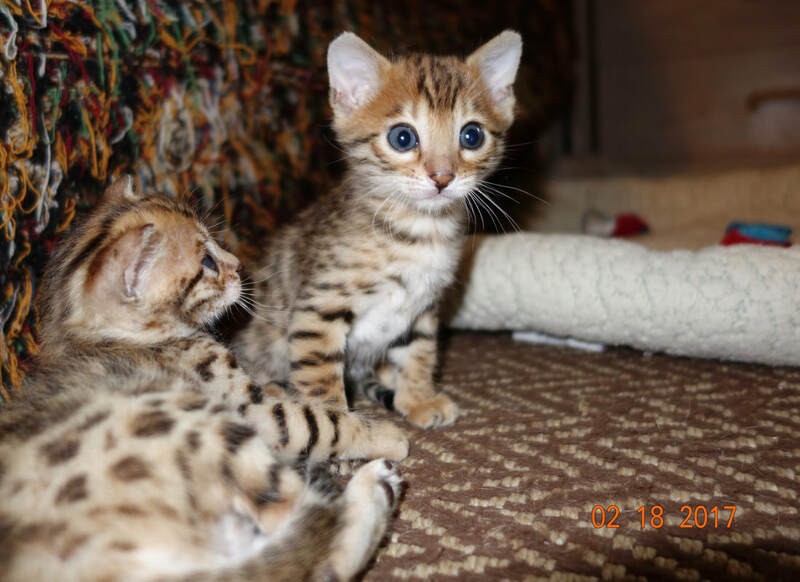 Raindancers Talulah - Northwest Bengal Cats Beautiful, friendly Bengal Cats and kittens for sale in the Pacific Northwest of Oregon. Talulah and her brother Takoda were the final two kittens produced by our beloved Queen, Sunshine Kyten and Bonnie Tanner's adorable King, Rainforest Heza Hoot of JungleKatz. 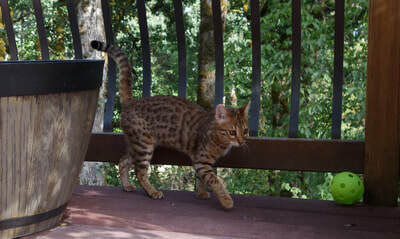 They are now each enjoying the good life of retired superstars with their families. 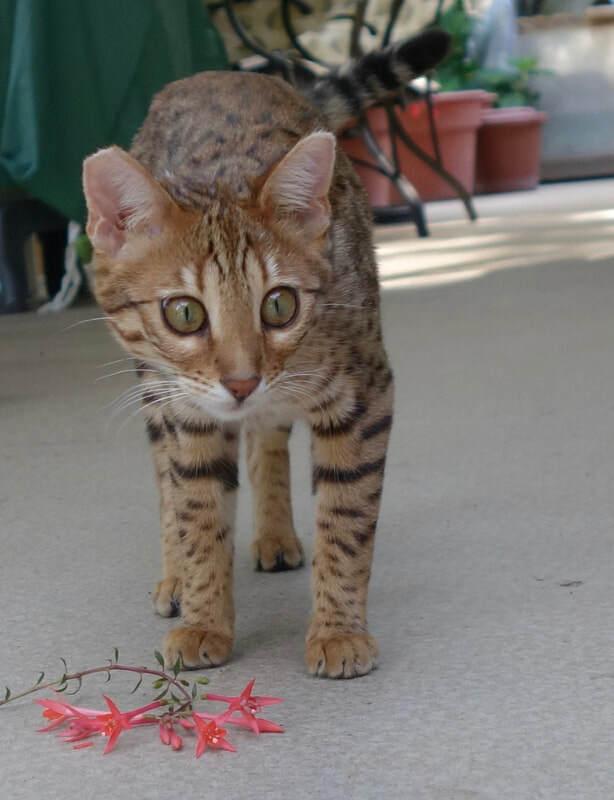 These two siblings are not only gorgeous, they also are the most affectionate Bengals I've met in a very long time. 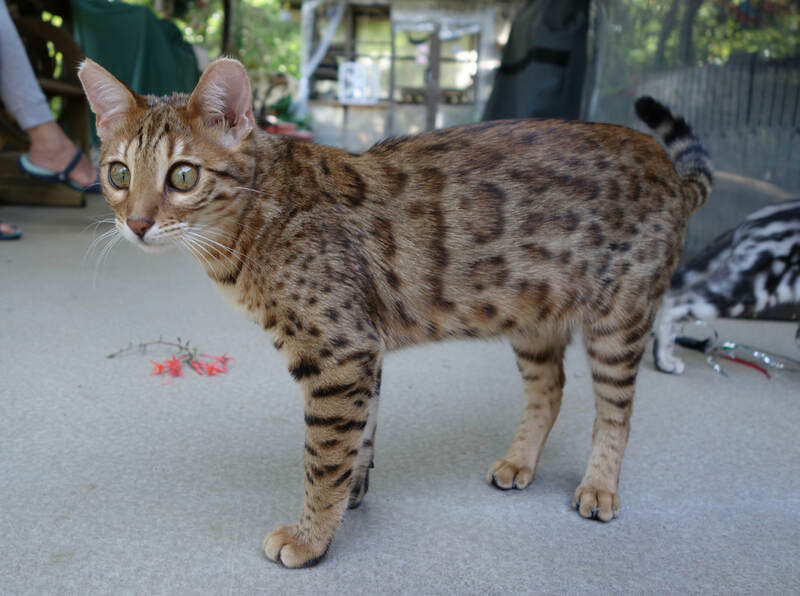 While they are similar to each other in many ways they also have some differences. 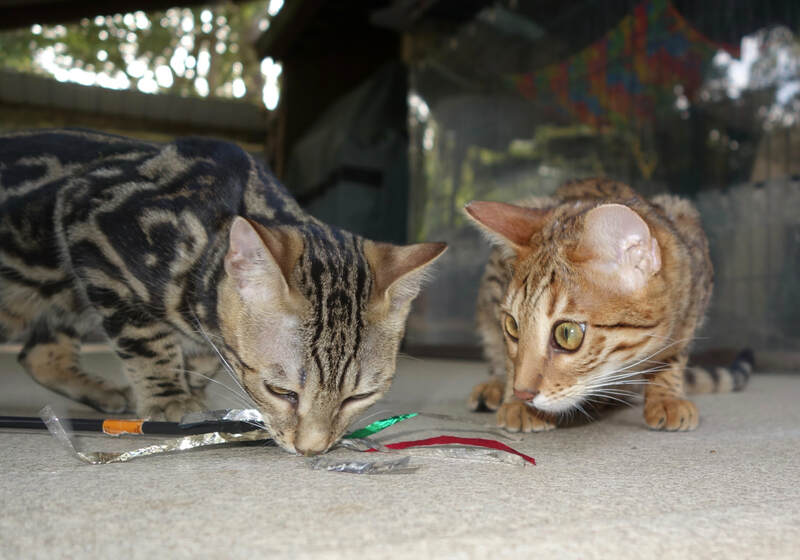 It will be fascinating to see how their offspring compare to each other. 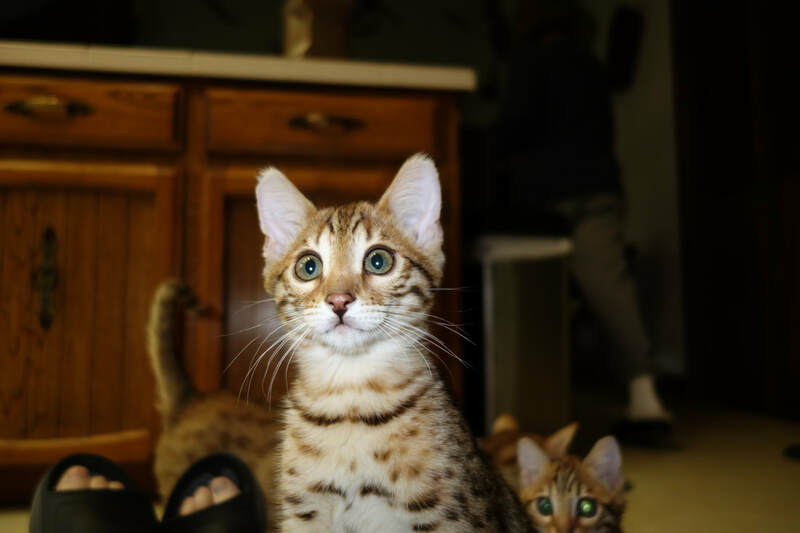 We're looking forward to each of their first kittens in mid-2018.